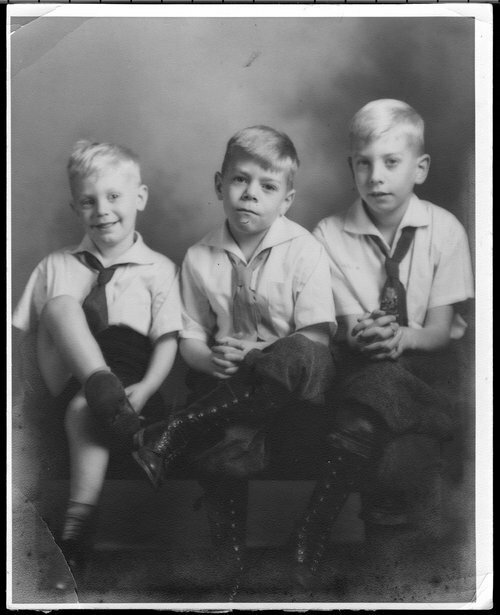 This photograph shows the three sons of William and Catharine Menninger. Left to right are Philip, Walter, and Roy. All three sons had careers in the Menninger Clinic. The Menninger Clinic remains one of the primary North American settings supporting psychodynamically informed research on clinical diagnosis, assessment, and treatment.